It looks like a great way to clean my tub! Makes cleaning tub and walls so much easier with out getting in the tub and doing it my hand. It looks like what I need to clean my tub and walls without having to climb in the tub to accomplish this. I have a wand and have worn my microfiber out needed new ones.... like to always have a clean one. I dont't bend like I used too. I need this to clean my shower. Looks interesting,and maybe save some time. I was unable to locate a mop for cleaning the bathtub in stores. 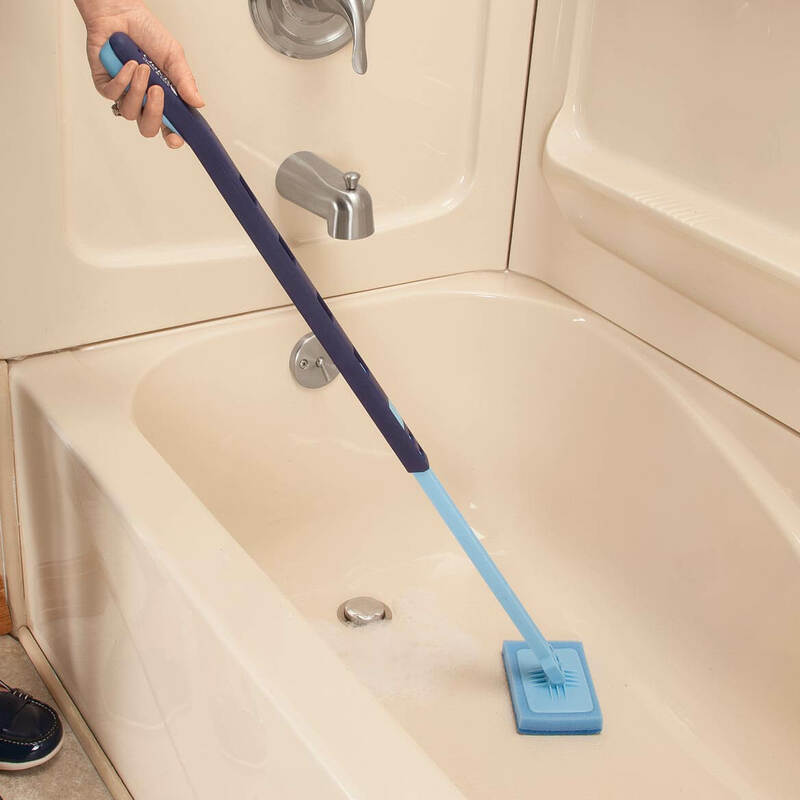 We recently remodeled our bathroom and was wanting a scrubber that would not harm the finish on the tub surface. 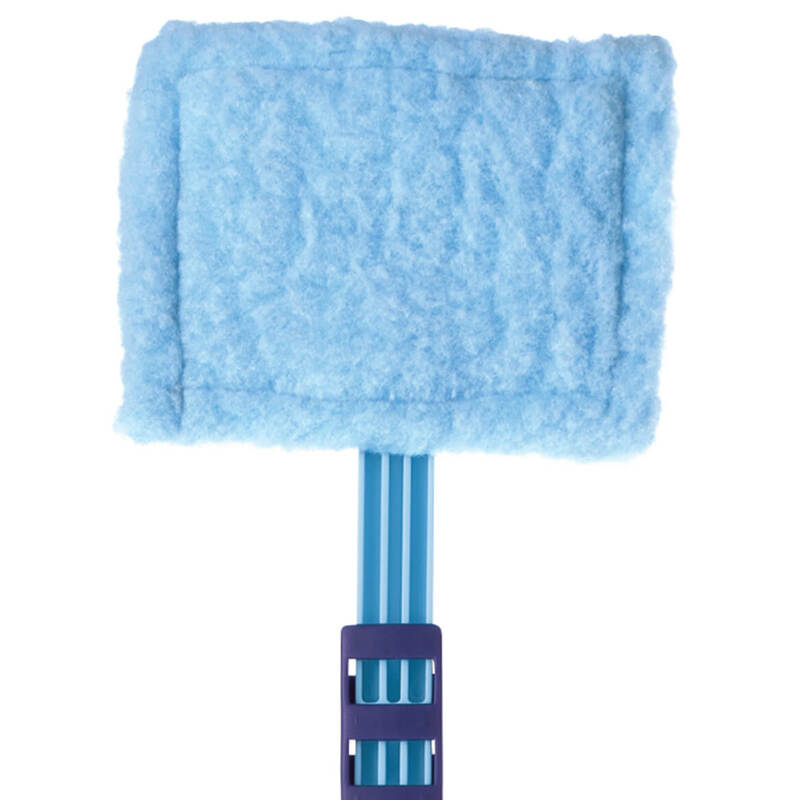 I use this scrubber frequently so need a new pad. how does the pad stick to the surface? I have a pole, different brand that needs a replacement pad, this one looks like it might work but there are no pictures showing how the replacement pad sticks? BEST ANSWER: The pad has a plastic base that clicks into the plastic base at the bottom of the stick. The pad is attached to a plastic backing that snaps on to the handle. How long is the handle/stick? BEST ANSWER: The handle measures 24" from tip to where sponge head attaches. When extended to maximum length, it measures 36".